I seldom get pimples but when I do get one, it's B-I-G. It's something that when people see, they would want to prick it. No kidding! Having a pimple is no laughing matter. Some people get depressed over it. I count myself lucky because I didn't get into "pimple" phase during my adolescent /puberty years. But yeah, I do get one once in a while. I woke up last Saturday with a huge pimple on the tip of my nose. Yes, of all places, my pimple just decided to land there. I was horrified. Okay, I was exaggerating a bit but I know I have to apply something unless I want it to burst because that's what likely to happen when I just leave it alone. It's time to test Althea Skin Relief Spot Film Gel. Althea's Skin Relief Spot Film Gel is one of the latest K-Beauty products that was launched early this year. One of the perks of being an Althea Angel is I get to test the latest products from Althea. 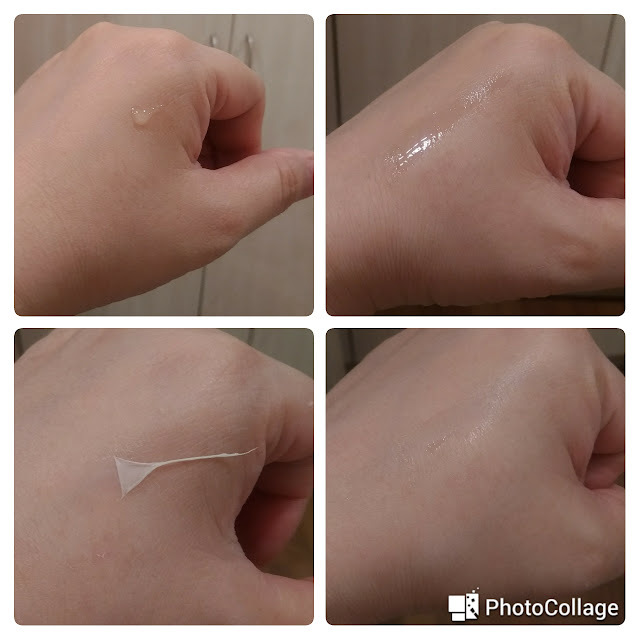 I know that Althea is a reputable company and is known worldwide so I didn't hesitate to try its Skin Relief Spot Film Gel on my pimple. Well, I was surprised that by Day 3, my pimple has subsided. 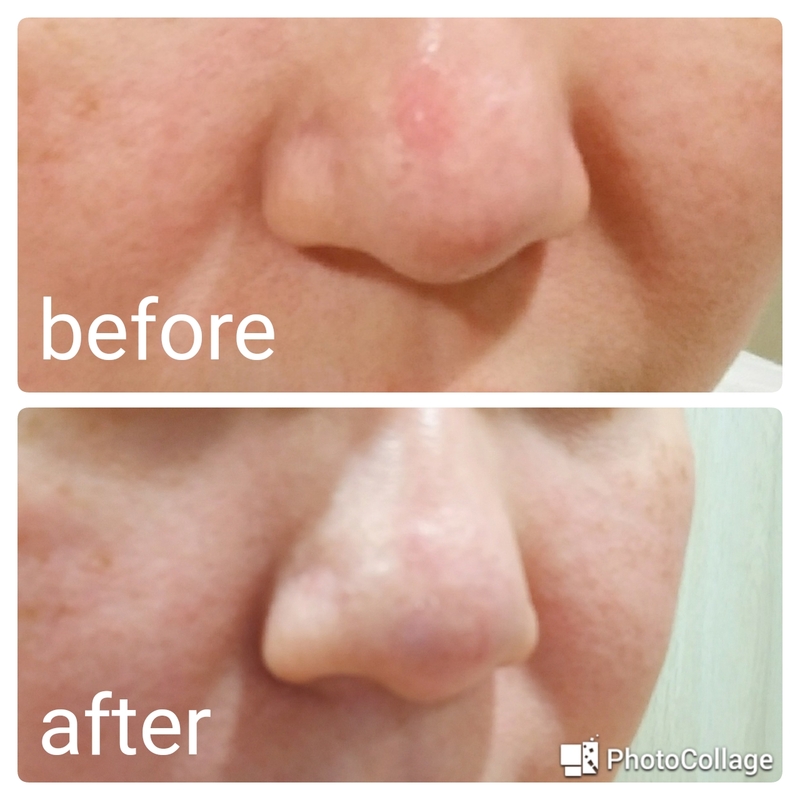 The first photo was a collage of my pimple on Day 1 (January 26-Saturday) prior to application and Day 6 (January 31-Thursday). 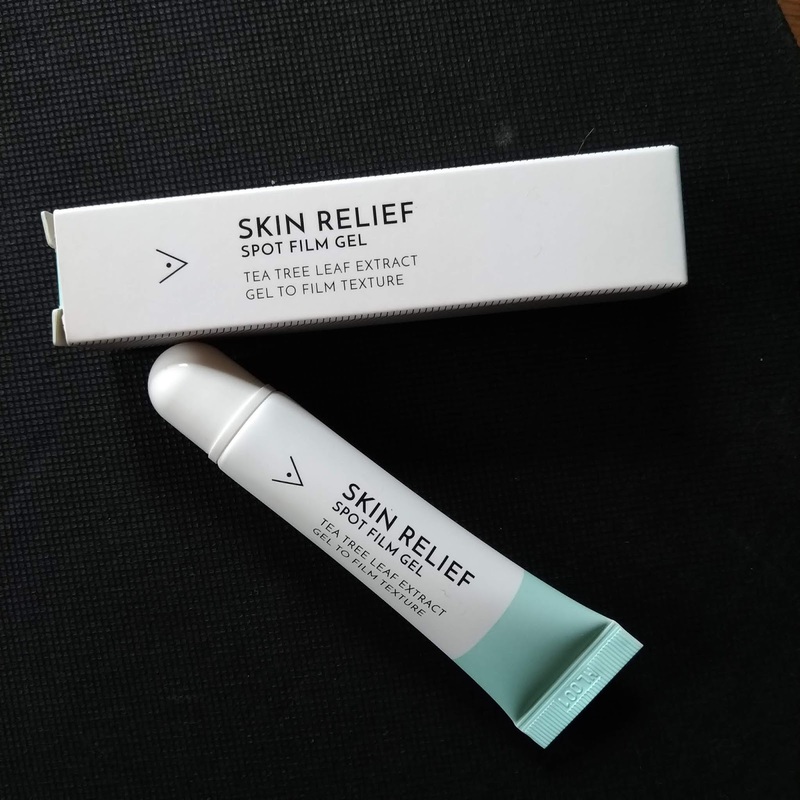 Thanks to its revolutionary formula that contains tea tree oil to quickly and effectively treat acne and a mixture of Centella and pine leaf extracts to calm redness, my pimple is now gone and now my nose is sexier than ever! Okay, my skin loves Althea Skin Relief Spot Film Gel! Initially, I applied it morning and night. But I had a hard time applying my BB cream over the treated area as it lifts the dried Skin Relief Spot Film Gel. I decided to use it at night after removing my makeup and/or when my face is clean and dry. You can get Althea Skin Relief Spot Film Gel here for only Php 240. If you order today, you can get storewide Php 188 off Php 1,000 by using this coupon code CNY188PH. You can thank me later!